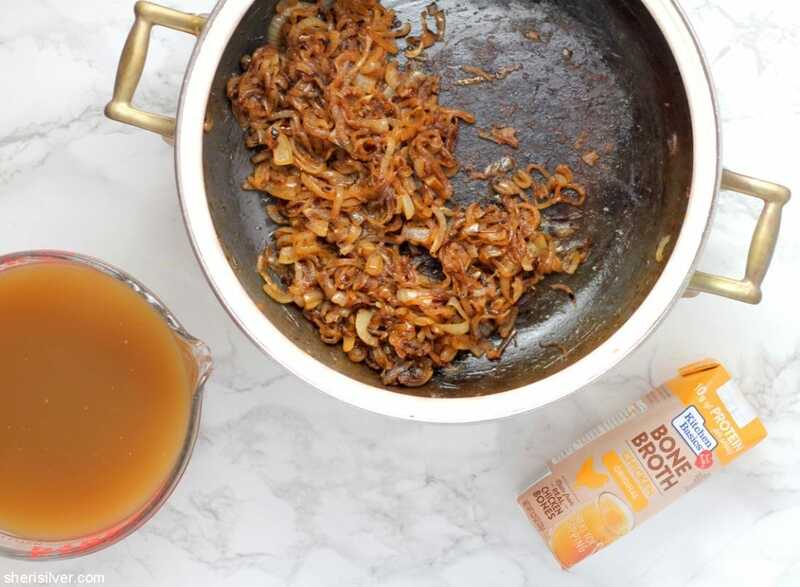 Have you tried bone broth? It seems like overnight this seemingly simple liquid became the new “it” item on every foodie’s must-have list. So what IS bone broth, exactly? Well, first of all it’s actually NOT a broth, but a stock. See, stock is made with bones and is more viscous than broth, due to the collagen in those bones that infuses the stock during cooking (broth is thinner and made with more meat). It’s combined with herbs, vegetables and spices and slow-cooks for anywhere from 12 – 24 hours. 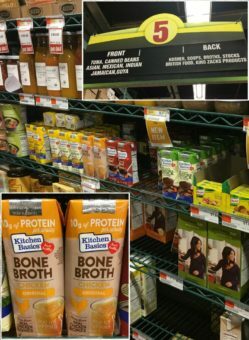 Bone broth has skyrocketed in popularity due to its perceived health benefits – as well as its versatility. 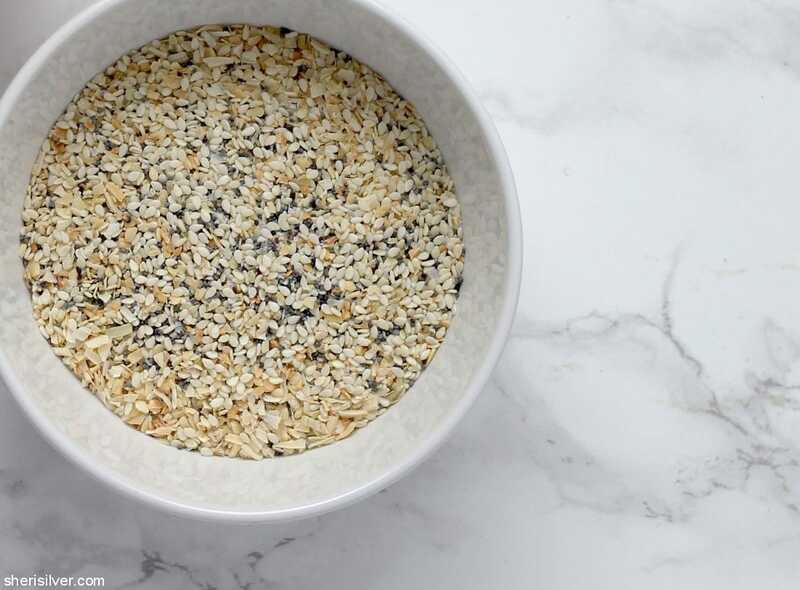 You can sip it straight up or incorporate it into any number of recipes – grains, vegetables, braises and of course, soup! 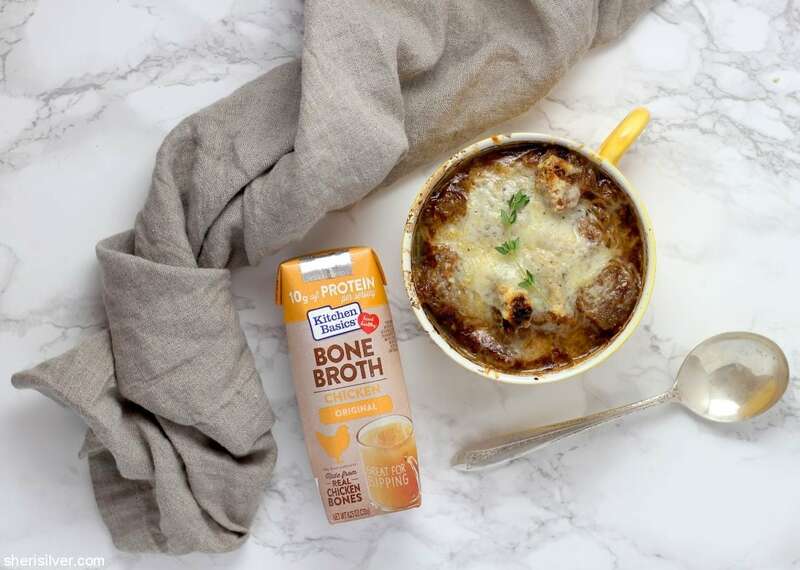 I knew right away that I wanted to make French onion soup, and loved the idea of using bone broth in place of my usual chicken stock. 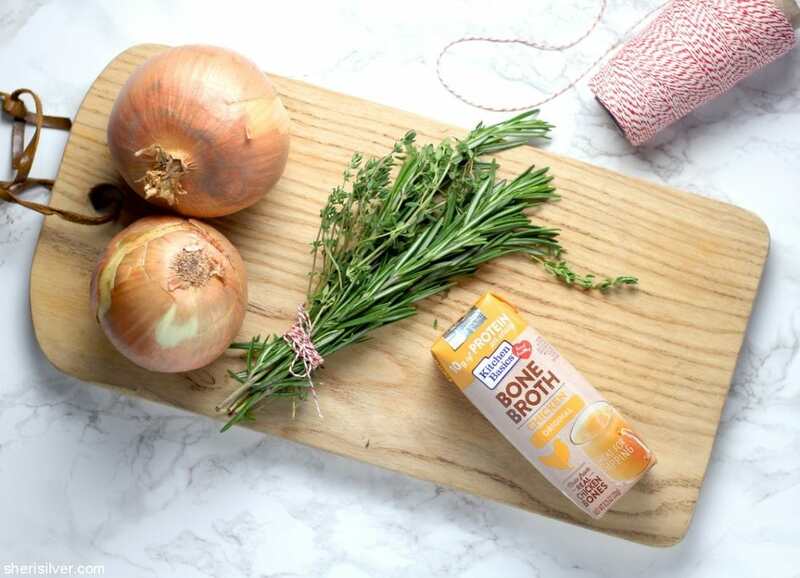 Kitchen Basics Bone Broth contains just 50 calories per serving, yet provides 10 grams of protein (20% of the daily recommended amount). 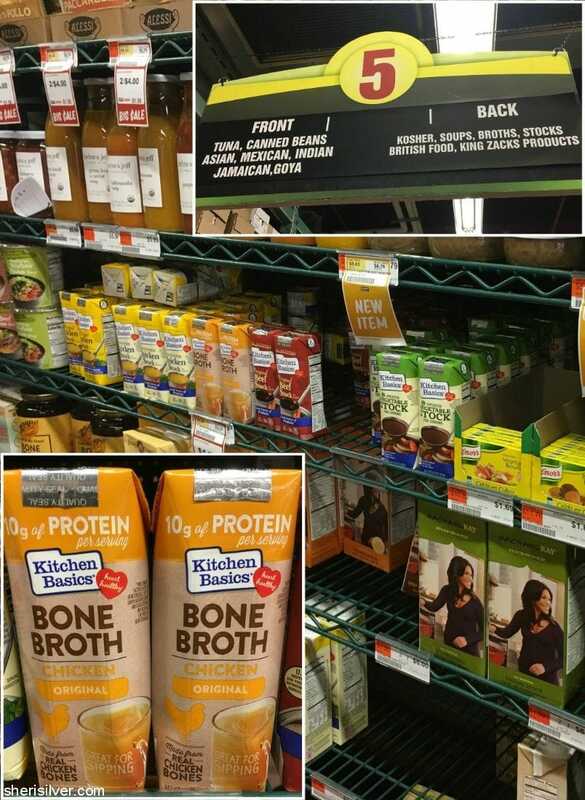 It is also the only bone broth certified Heart Healthy by the American Heart Association. 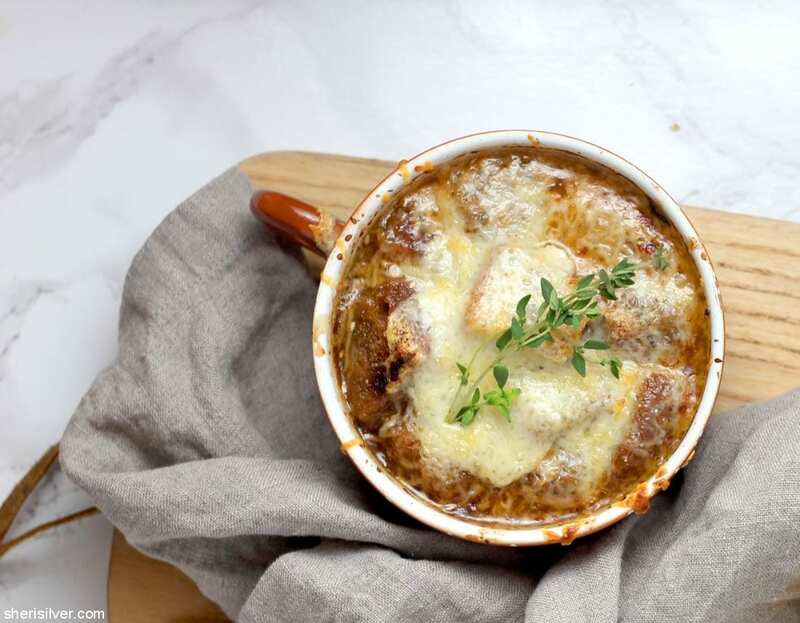 French onion soup has always been one of my personal faves – I mean, how can you beat a soup topped with a slice of toast – that’s covered with melted cheese? I don’t know about you but I’ve always found that while visually, that toast looks so pretty atop the soup, it’s a bit of a pain to work with. You have to either struggle with your spoon to slice into it, or wait till it gets soggy enough to scoop it up. My fix? CROUTONS. Easier to eat, AND they stay crunchier throughout. Win-win. 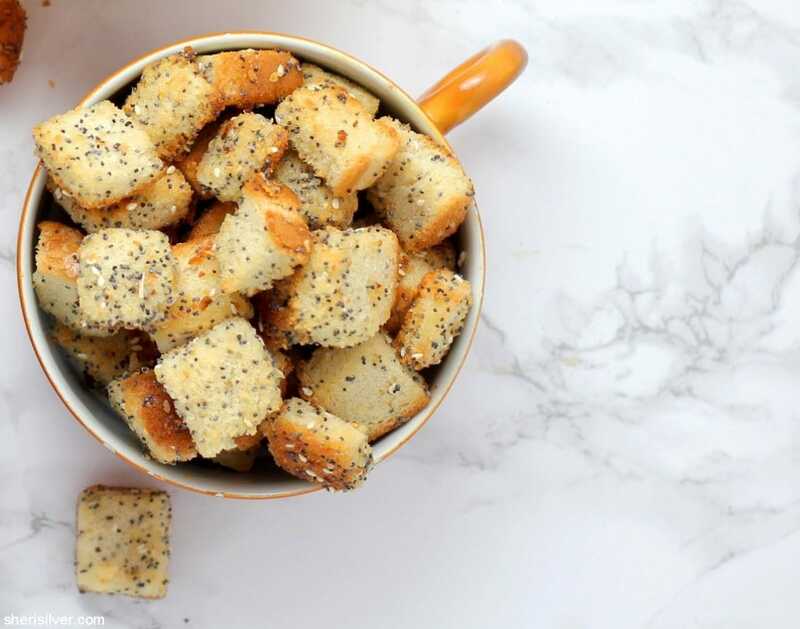 I ramped up these croutons with a toss in my go-to everything bagel spice. This added even more flavor to the bread, as well as the soup. It’s 22 degrees in New York as I type this, so I am delighted to have a batch of this simmering away in my kitchen. It smells heavenly…….. Melt the butter over medium heat in a large pot or Dutch oven. Add the onions and cook till softened, stirring occasionally, about 10 minutes. Reduce heat to low, add the sugar and salt and pepper to taste, and cook for an additional 35 – 45 minutes, stirring occasionally. 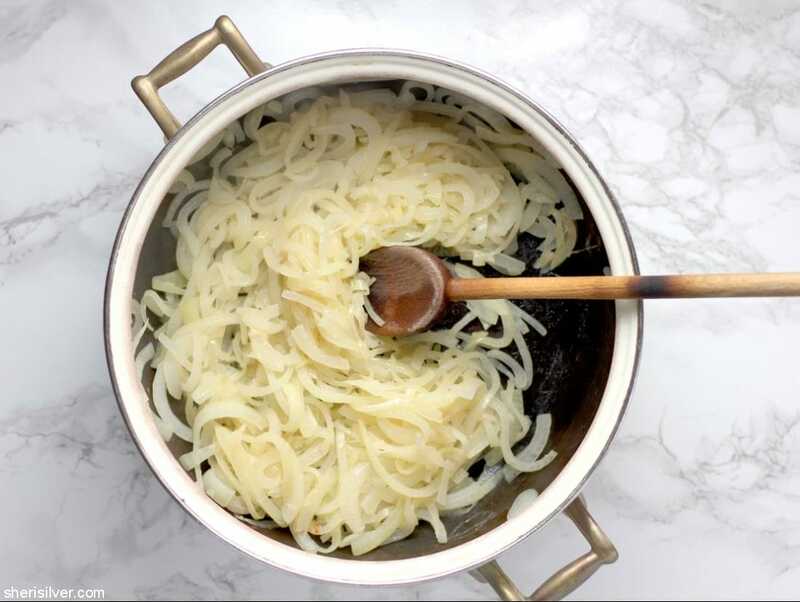 The onions will have cooked down considerably and turned a deep, caramelized golden brown. Bundle the herbs with kitchen twine if you like – this will make it easier to remove them later. Add the bone broth, along with the herbs, and raise the heat to medium. Bring to a boil, reduce heat to a simmer, and cook for 30 minutes, stirring occasionally. Remove the herb bundle and discard. 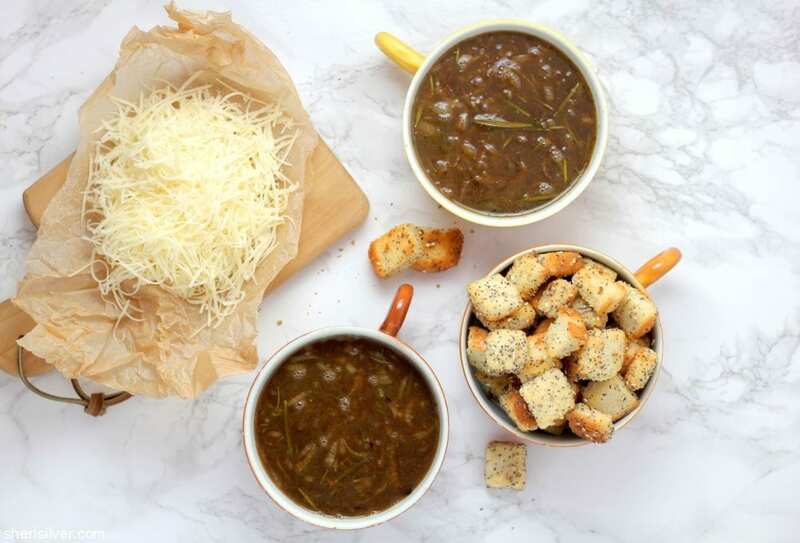 While the soup is simmering, prepare the croutons: Pre-heat the oven to 325 degrees. 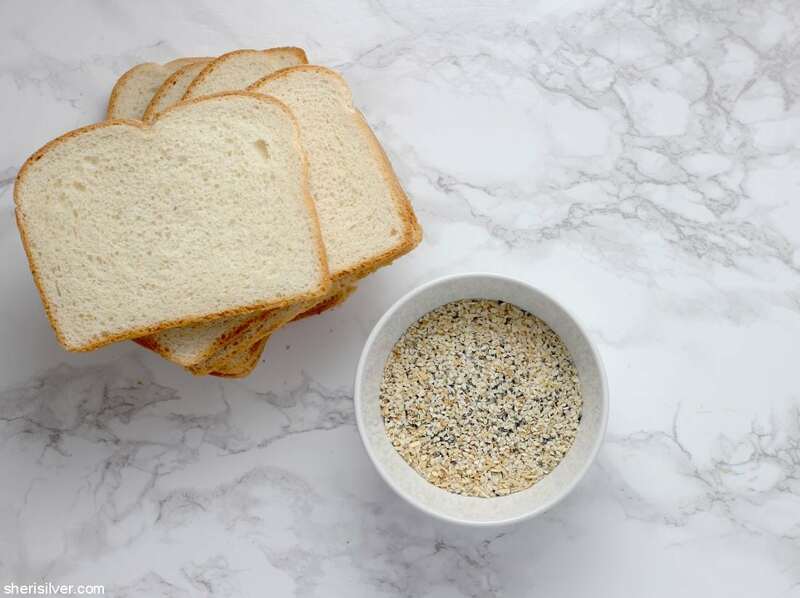 Toss the bread cubes with 2 tablespoons of the olive oil (adding more if needed). Add 2 tablespoons of the spice mix and toss again (add more if needed). Transfer to a baking sheet and bake for 10 – 15 minutes, stirring once or twice, till golden brown. Remove from oven and set aside. Raise the oven temperature to broil. 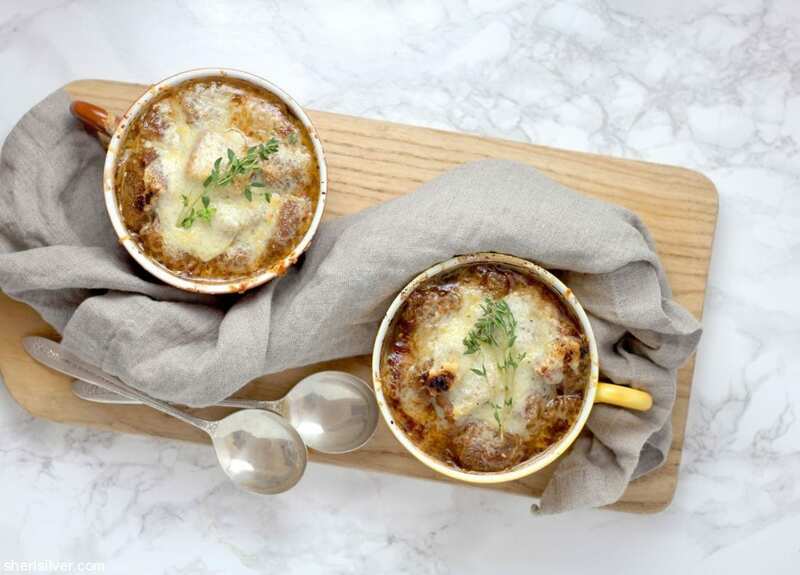 Divide the soup evenly between 4 ovenproof bowls or ramekins. Top each with some croutons, followed by the grated cheese. Broil till cheese is golden brown and bubbly, watching carefully to avoid burning. Serve immediately. Was SO good – let me know! I had not thought of using chicken stock but I can see if it was bone broth it would be meatier. Am printing out your recipe now and absolutely will give it a try! Instead of regular Bread, and or Croutons, I prefer French Bread toasted, then add a layer of Mozzarella, then bake. I make my own Beef, and Chicken Bone broth.